In a wonderfully commanding position opposite the Palazzo Grassi Museum of Modern Art and between the Accademia Bridge/Galleries and the Ca’ Rezzonico Museum of 18th Century Art, the apartment lies within the 15th Century Gothic Palazzo Loredan Dell’Ambasciatore – historic address of the ambassadors of the Austrian Empire to the Venetian Republic, birthplace of two ancient Doges of Venice and notable palace where Mozart once played. 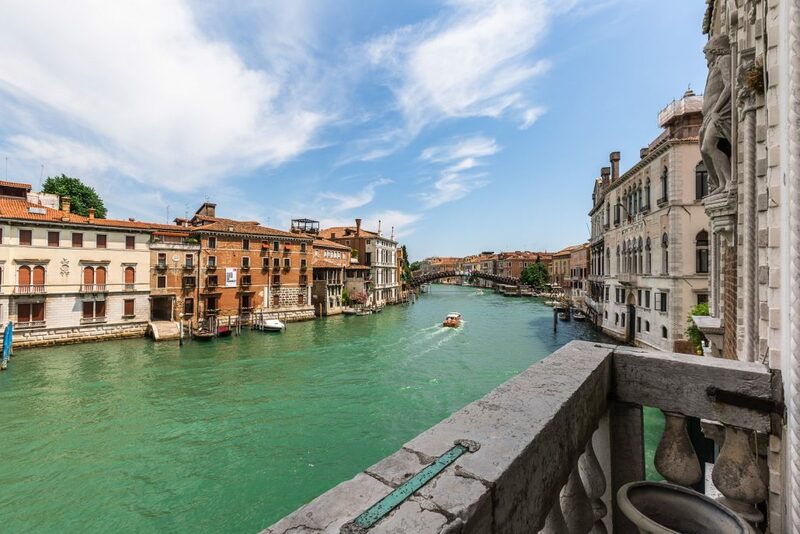 Offering memorable accommodation for up to nine guests, the Piano Nobile Degli Scudi is on the first floor accessed by lift and has a Grand Canal water entrance for smooth as silk comings and goings by water taxi. Furnishings throughout are a much-loved miscellany of 17th-19th Century family antiques intelligently integrated alongside modern and classic pieces and decorative features. Sofas crafted by Florentine artisans are upholstered using traditional Venetian cloths while the description of room finishes reads like a Who’s Who of the very best in international interior design in which gorgeous Zoffany and Brunschwig wallpapers rub shoulders with sumptuous Fortuny fabrics and Farrow & Ball paints. 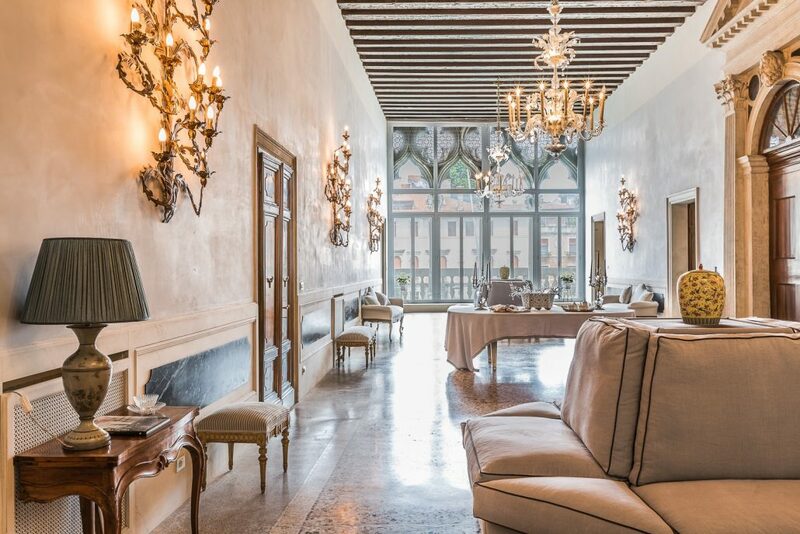 To the right of the salone and also overlooking the Grand Canal sits a regal yet comfy and tall ceilinged sitting room – a space bedecked in rich golden fabrics where 18th Century Venetian mirrors in gold leaf sit beside plump teal blue velvet-soft sofas and an intriguing collection of cherished antiques. 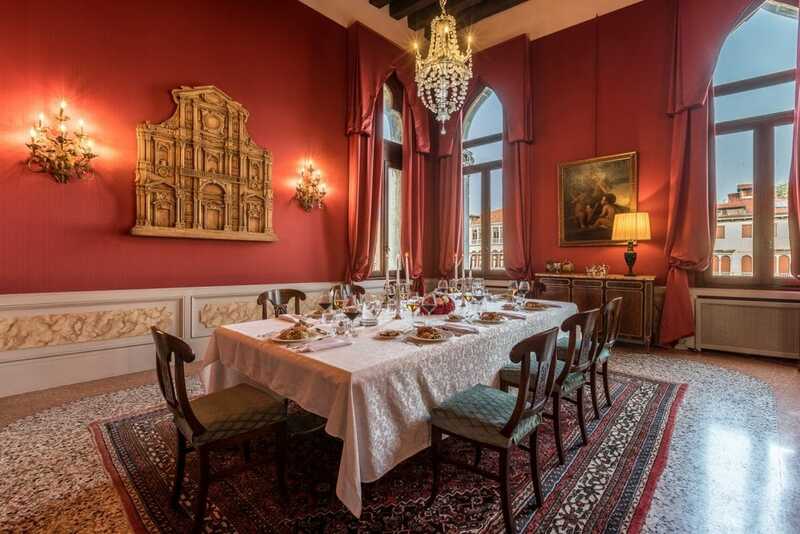 To the left of the salone sits the main dining room also fronting the Grand Canal – a vision of Venetian poise and elegance where the formal table for twelve requests the pleasure of your company within its rich deep red walls. The breakfast room beyond seats eight and is perfect for more informal dining, while the adjoining deluxe contemporary kitchen features bespoke brushed oak units and top-notch accoutrements alongside an original 15th Century fireplace lain hidden for centuries and uncovered to our delight during the recent restoration. 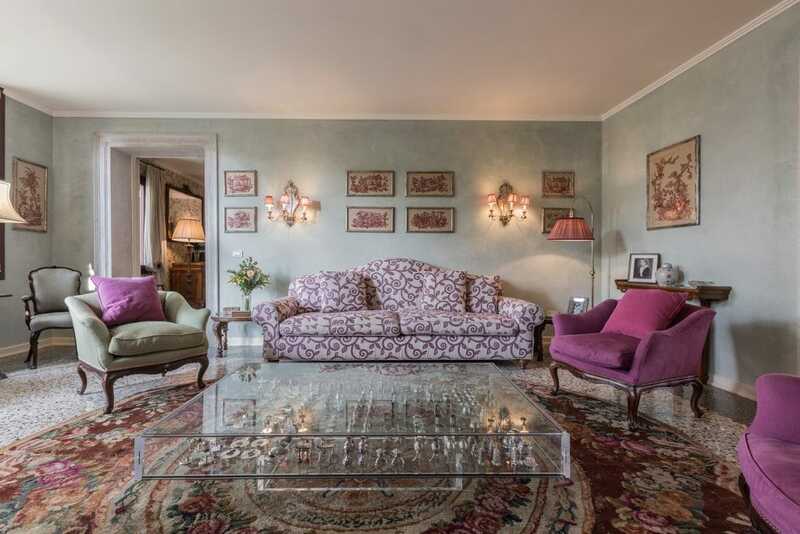 At the rear of the Piano Nobile and overlooking the garden is a further comfortable sitting room – a cosy, classic counterpoint to the formal salone. 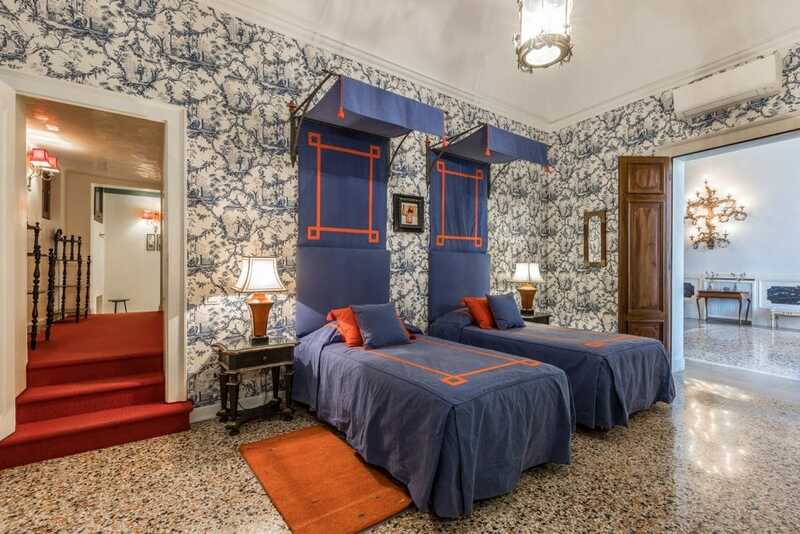 There are three en-suite double bedrooms and an en-suite twin – the first in a soothing blend of soft Wedgewood blues and milky whites, the second in fanciful bird and blossom print, the third a delight in delicate dusky pinks and the twin, a Marco Polo fantasy of oriental Toile de Jouy, objet d’art and Chinese blues and lacquer reds in which two single canopied beds sit beneath a pretty vaulted ceiling. A further bathroom completes the accommodation on this floor while a self-contained suite on the mezzanine level (reached by stairs) is simply furnished with a single bed and has a separate spacious bathroom. A fine palatial home in an extraordinary setting. 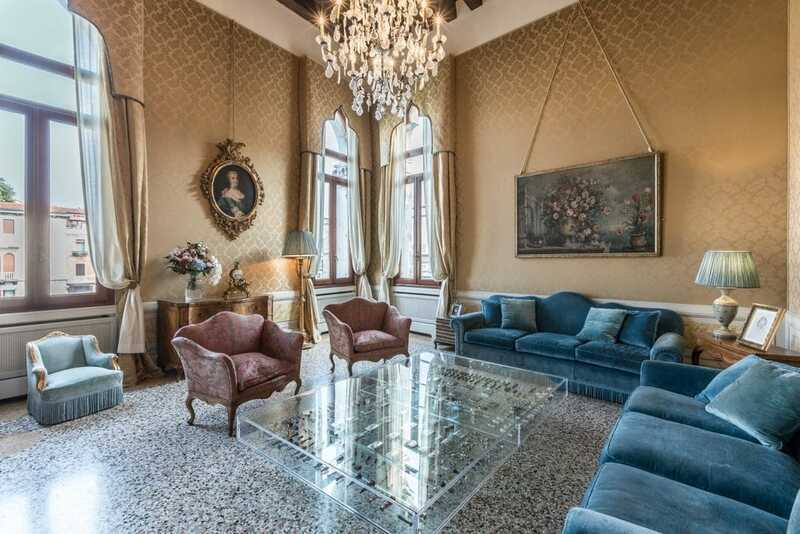 And for larger gatherings, the Palazzo Loredan Dell’ Ambasciatore is also home to 1 further luxury apartment (VOV Collection’s Ca’ Cerchieri Terrace) and 3 other apartments of simpler style which, when taken along with the Palazzo’s two Piano Nobile apartments (the Piano Nobile Degli Scudi and the Piano Nobile Della Loggia), provide memorable accommodation for up to 44 guests. For details of additional non-complimentary services which are available to guests (including a personal chef, shopping service plus a range of exciting activities for making your stay even more special), please take a look at our ‘Concierge Service’ page or feel free to contact us to discuss your requirements. 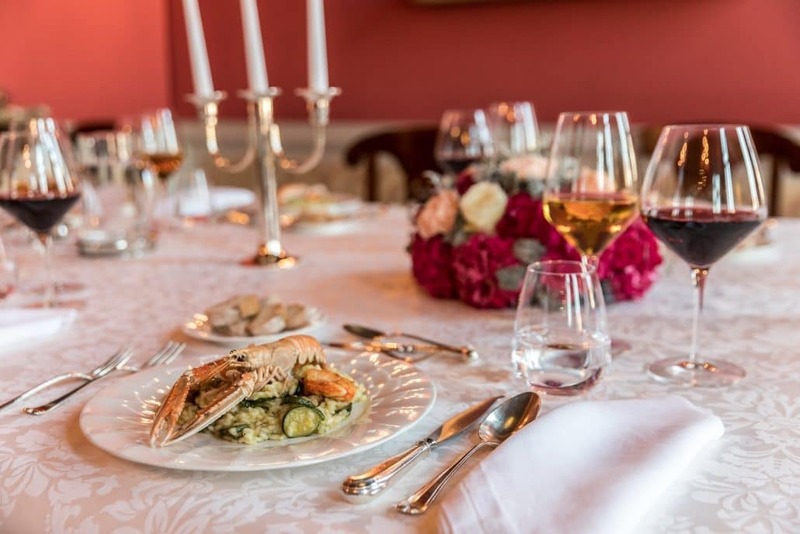 Our VOV Concierge will also be delighted to organise brunches, cocktails and dinner parties according to your wishes and exact specifications within the setting of the Palazzo or to discuss any special events or ideas you have in mind. 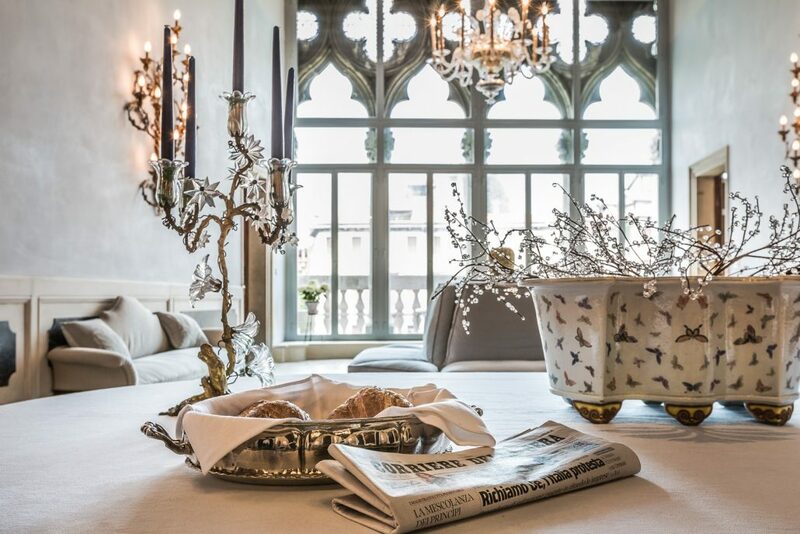 Choose from the gorgeous leafy garden, the impressive ‘androne’ (spacious ground floor internal salon) or entertain ‘at home’ in your very own apartment – whatever your choice, we’ll be delighted to be of service. We had a brilliant time. 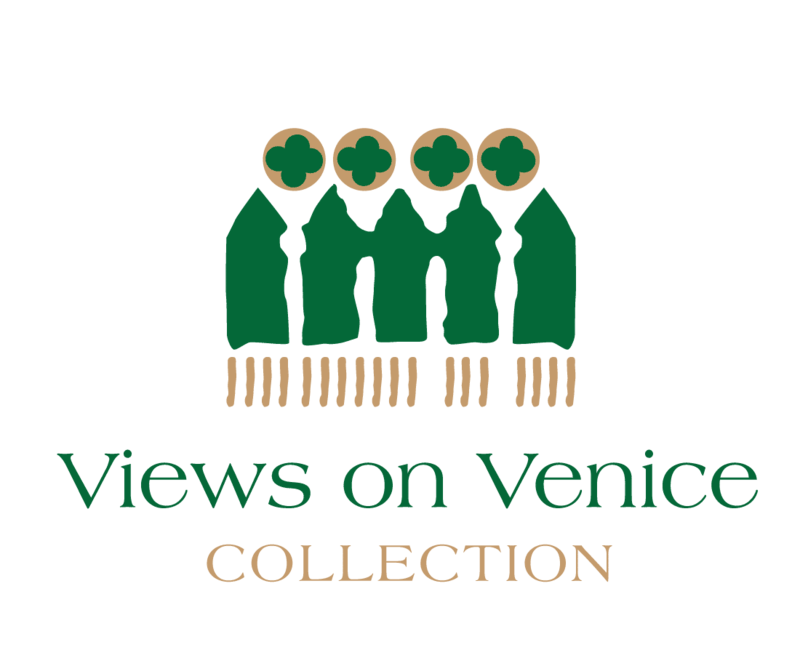 Spending two months in Venice was a truly amazing experience and it was all so relaxing because of the extraordinary service we received from Views on Venice, mainly Rachele. Nothing was too much trouble and she was always available to help if we needed anything. She went way beyond any service we could have expected and this was the best rental company we have ever used on a vacation. We are looking forward to coming back! 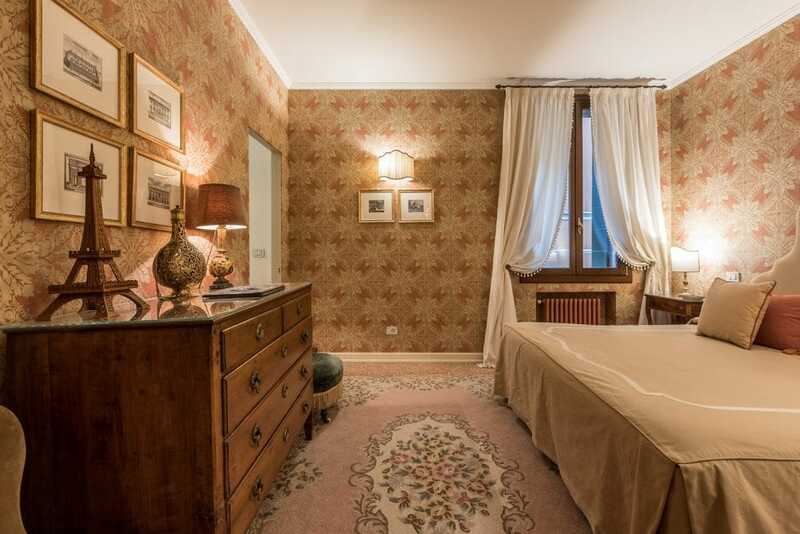 We have very much enjoyed our stay in Palazzo Loredan. 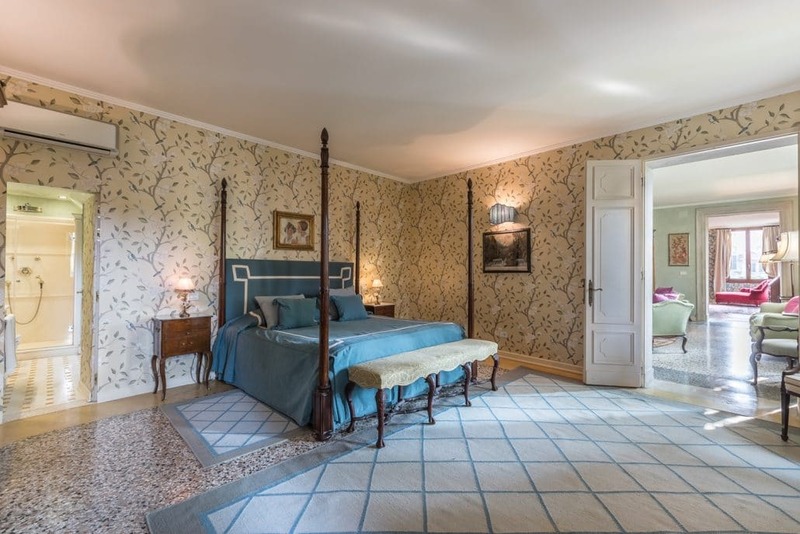 and also very much appreciated the kindly presence and the efficacity of Rcchele Scarpa all along our stay in the palazzo. 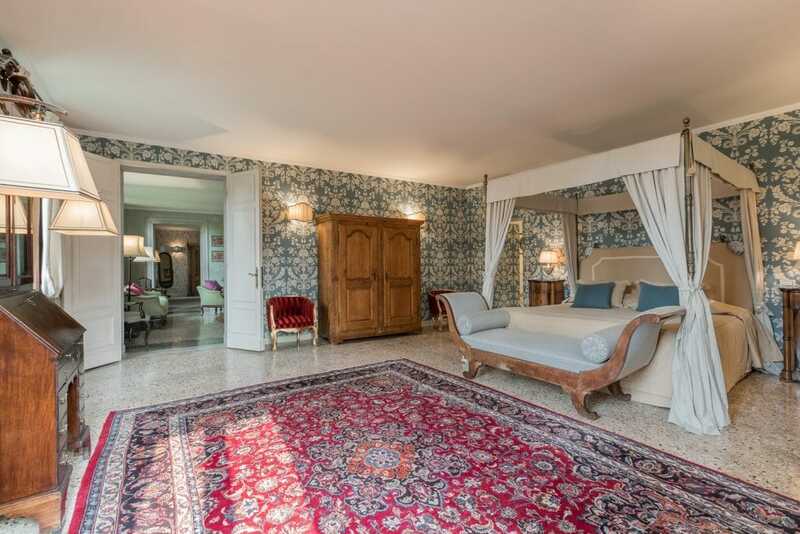 Piano Nobile degli Scudi is a beautiful apartment with amazing views. My family stayed here for 5 days and it was perfect in so many ways. Rachele, the property manager, was also equally amazing. She helped us arrange additional apartments for friends/family, organized water taxi arrangements, and answered every question imaginable (morning, noon and night). 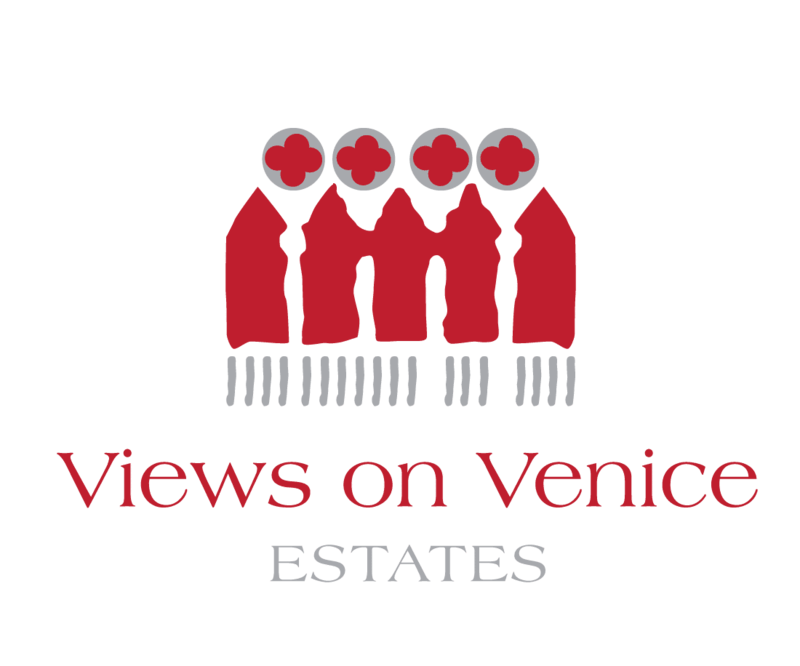 We also hired a chef through Views on Venice to prepare breakfasts. The chef was very friendly, spoke English well, and catered to our needs. 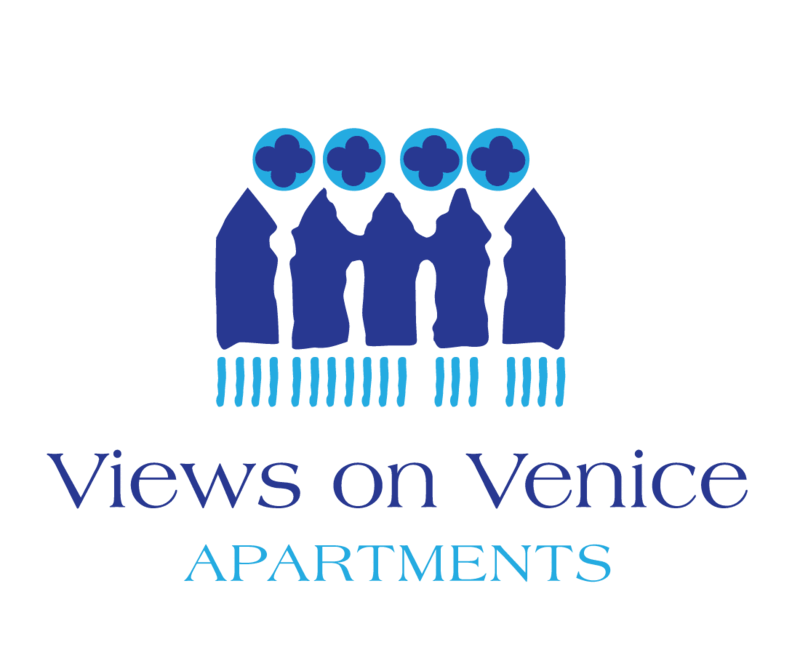 I hope to return to this apartment as I have no doubt it is one of the best places to stay in Venice. Standing on the balcony of this apartment was our favorite thing to do – better than any day trip/historical monument/piazzas/etc. It’s pretty hard to beat! Should you have any queries or require further information, please feel free to contact us by completing the following form and we’ll get back to you as soon as possible. ​Alternatively, feel free to call us on + 39 342 7791313 so that we may ascertain your needs and craft a personalised offer to send you via email. All comments and feedback are very much appreciated. Thank you.